Santorini and Mykonos are two of the most famous and most beautiful Greek islands. Consequently, the ferry route connecting these two islands is one of the most popular routes that people look for when searching on Ferryhopper. 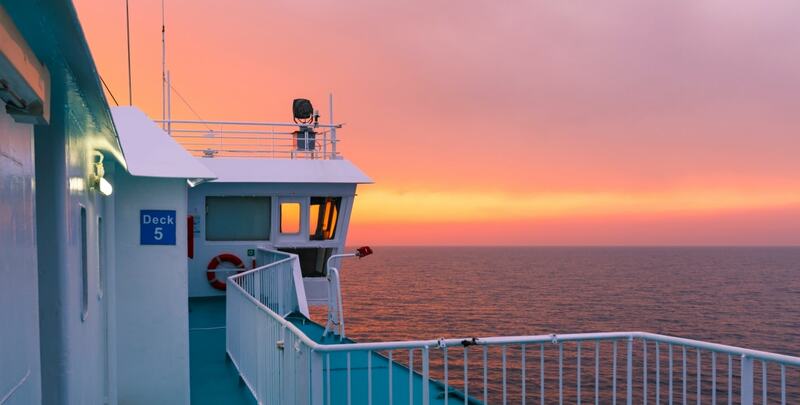 In this page, we have summarized the important information regarding ferries from Santorini to Mykonos, including price ranges & trip duration per ferry operator, as well as schedules frequency. How often are ferries connecting Santorini to Mykonos? The ferry connection from Santorini to Mykonos is seasonal and usually operates from the end of March up to the end of October. As this is a very popular route, there are many ferry companies and many different ferry boats connecting Mykonos and Santorini. Most of their ferry schedules are usually announced in the first months of each year (January or February). Keep in mind that during high season (summer months), the ferry itineraries are quite dense and several ferries are going back and forth on a daily basis. The time schedules may be altered a bit and you should expect some minor delays as the ferries are calling also at intermediate ports. How long is the ferry ride from Santorini to Mykonos? The average duration of the trip is 3 hours, while the high-speed catamarans of Seajets and Minoan Lines perform this route in about two and a half hours. There are many operators connecting Santorini and Mykonos every day and some of the main vessels serving this route are Santorini Palace, Champion Jet 1, Champion Jet 2, Superferry (I or II), Superrunner and more. Both Mykonos and Santorini are islands of the Cyclades, located at the southeast of Greece's mainland. The distance between Mykonos and Santorini is equal to 73 miles or approximately 63 nautical miles. From which port of Santorini do I depart from? Unlike Mykonos, Santorini (or Thira) has only one port that serves passenger ferries and the name of the port is Athinios. The port of Athinios is located on the middle-west side of the island. At which port of Mykonos do I arrive when travelling from Santorini? Mykonos has two ferry ports, the "Old Port" and the "New Port" at a distance of one kilometer with each other. The Old Port is usually used by smaller ferries, while the larger ones (conventional ferries and large catamarans) use the "New Port". A rule of thumb would be the following: "If your ferry carries cars, then it uses the New Port". However, as this may be subject to change, we suggest that you confirm the port of your arrival with the local agent or the port authorities. The most important thing if you really want to visit both islands is to be “on time”. We advise you to book your tickets at least three months prior to your trip. Ferryhopper is here to help you find all the possible options; it is up to you to choose the perfect one and book it while there is still availability. In Mykonos, the ferry departure port might change at the last minute, due to high traffic or windy weather. It is always a good idea to cross-check with the port authorities’ personnel on the day of your travel. The port of Santorini gets really crowded during high season. Make sure to arrive there at least one hour prior to your scheduled departure. Have a look in our survival guide for Athinios port. If you visit Mykonos only for a day, be sure to rent a vehicle, to explore as much as possible. Also, if you like partying till morning don't forget to enjoy the famous Mykonian nightlife. If you are visiting Mykonos for more days and you do not want to spend a fortune on accommodations, you should definitely book a place to stay as early as possible; at least 4-5 months in advance. Ferry rides can become a bit bumpy during summer. There is absolutely nothing to worry about, rather than getting a bit seasick. If you do not feel well you can always ask the ferry crew for some seasickness pills. Tickets to Mykonos from Santorini always sell out fast during high-season. If you are planning to take a ferry from Santorini to Mykonos on late July or August, make sure to book your tickets well in advance. There are many other beautiful islands around Santorini that you can visit as well, such as Paros, Naxos, Amorgos, Koufonisia, and Ios. Island hopping around Santorini is the best idea! You can check our Greek Islands Ferry Map for more ideas!